Which is better, Metatrader for MAC OS or Windows? Recently, the famous Metatrader trading platform was only available for download on the Windows platform. However, as demand grew, the famed trading platform is now available for download and use on the MAC operating system as well. There is no doubt that Apple has its own followers and has only been gaining by popularity in recent times, it is therefore not surprising that Metatrader trading platform is now available to trade on the MAC operating systems with relative ease. While earlier traders had to use a Windows emulator such as installing the ‘Wine’ application first in order to install the MT4 trading platform, the latest versions of the MT4 trading platform now offers a direct download and installation with no additional requirements, also known as Native MAC OS application. This is a big jump for Mac OS users who no longer need to use the cumbersome emulators which are known to crash when used heavily. While the installation procedure might differ, the Metatrader platform offers the same uniform and consistent level of functionality and flexibility. If you are planning on installing the Metatrader trading platform on your MAC, then follow this simple installation guide. 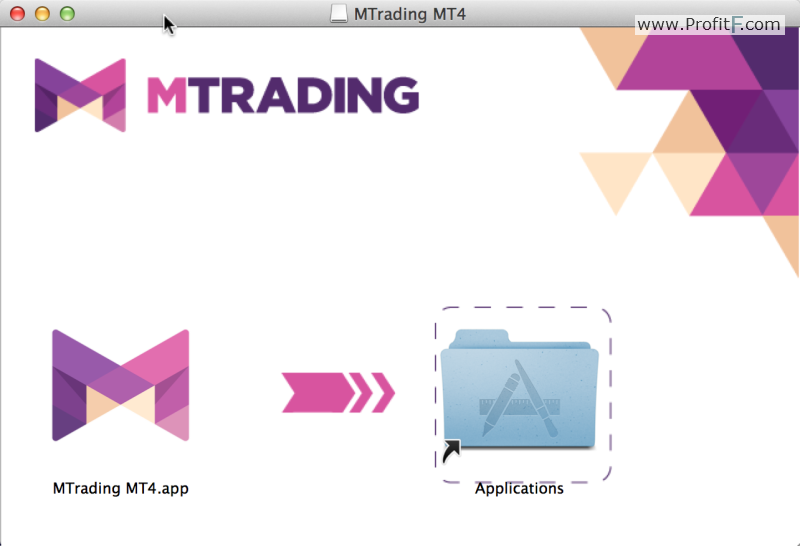 Simply click on the application to launch the MT4 trading platform on your Mac OS. The same procedure is used whether you are installing the MT4 version or the MT5 version. 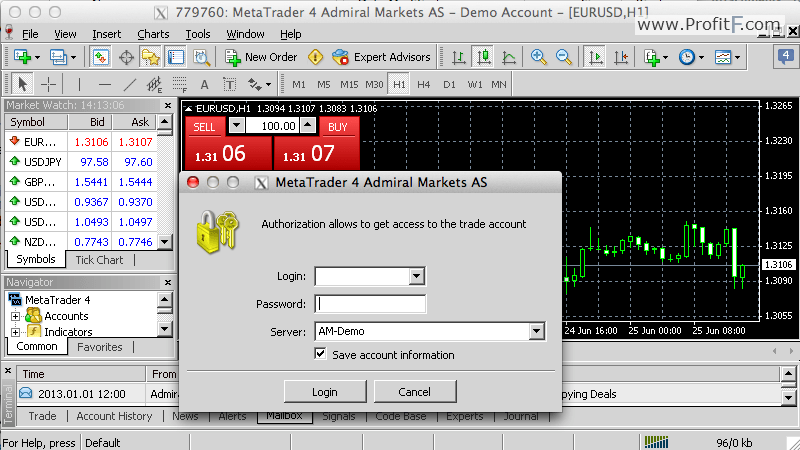 Once the installation is complete and you have logged in, the Metatrader platform can be run normally and has all the features that one expects to see when using the Metatrader platform on a Windows machine. Traders can start copying their custom indicators as well as be able to install and run expert advisors from their MAC installations. In terms of functionality and usability, Metatrader offers the same level of performance whether you are using a MAC or a Windows machine. The performance of the trading software comes down to the hardware that you are using. As far as trading features and charting functionalities are concerned, traders will not find much of a difference.